Now here’s the ultimate care package for someone who owns a special bike. This really is a gift that keeps on giving! A perfectly organized set that contains and organizes the key items a biker needs to keep his steel in the best shape possible. 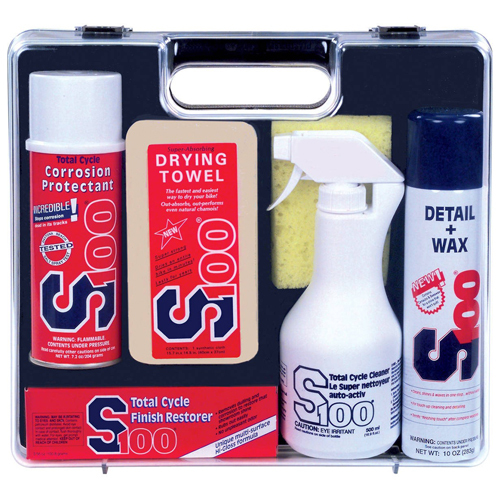 Five top selling S100 products in a perfect carry-organizer. The perfect start for the ultimate in bike care!